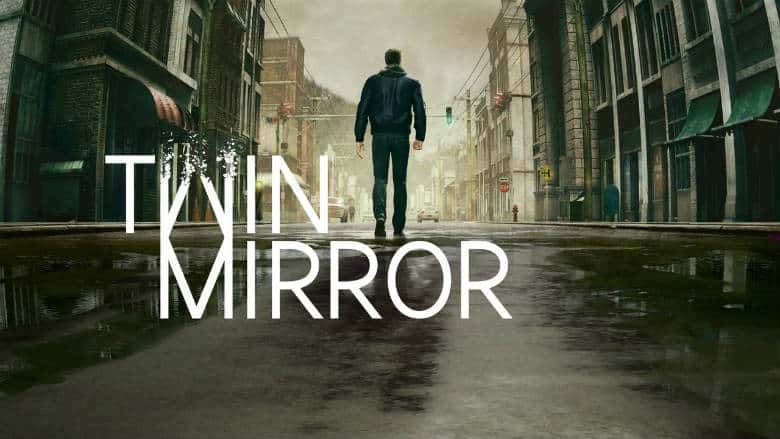 Twin Mirror Trailer Debuts New Narrative Psychological Thriller | Nerd Much? Bandai Namco Entertainment has announced a partnership with Dontnod Entertainment to bring us the publisher’s “foray into narrative adventure games.” The project is titled Twin Mirror and it’s slated for 2019. “Your story begins in the town of Basswood, West Virginia, where Sam has returned to attend the funeral of his best friend. While recovering from a heavy break-up, Sam finds himself dejected and downtrodden as he interacts with former friends in his hometown. But, things start to take a turn for the worse when Sam wakes up in his hotel room the next day. Much of the game sounds as though it revolves around Sam’s devastation from his recent split. The game looks as though it features elements in which Sam is literally exploring his own mind. His breakup is more than likely going to rear its ugly head during many of these moments. While in your own head, you’ll be recalling memories to find the truth of what’s going on in this small West Virginian town. The decisions you make along the way will direct Sam’s future relationships with the town of Basswood and himself. The game is likely a ways out still. Bandai Namco and Dontnod have slapped the game with a vague 2019 window. It’s coming next year for Xbox One, PlayStation 4 and PC. Perhaps we’ll hear more about it during E3 next week. Unravel 2 Shadow Dropped at E3: OUT NOW!